There are three things that hold cachaça back from its rightful status among one of the world's finest spirts. First, there was the first wave of cachaças that became available outside of Brazil--rough, cheap, industrial and (I'm convinced) created in the same factories that produce vehicular ethanol. I'm certain many Americans tried such cachaças and got a hangover that convinced them to never give it a second try. One correspondent referred to a popular industrial brand as "the liquified form of getting hit in the face with a shovel." Second, cachaça consumption is flat-to-down even in Brazil as liberalized trade and the greater choices that come with it compete for the disposable, booze-buying reais of a growing middle class. Among many Brazilians, the caipiroska (a caipirinha that substitutes vodka for cachaça) is sadly considered an "upgrade" from their native spirit. Third, American tastemakers don't really know how to approach cachaça and, I suspect, are either too ashamed or too busy to properly explore it. Spirit importers are beginning to market "premium" cachaca, which really just translates into a glitzy bottle design along with an upscale marketing campaign all in the hopes of selling a much higher priced product. I advise you not to go that route when purchasing cachaca for your caipirinhas. In Brazil there are two very popular brands that are used at most restaurants and clubs in making caipirinhas and they can be found here for well under $20 a liter. Seek them out. I guarantee you will not be disappointed. Not true. Not true at all. And, if you care a whit about what you drink, I can almost guarantee you that you will be quite disappointed. Exactly what kind of quality do you get for $20/liter in the U.S.? Quite literally, you get the same cachaças that Brazilians get for RS$2/liter. 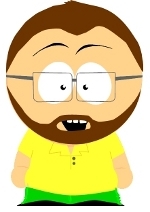 ($0.99 at today's exchange rate.) 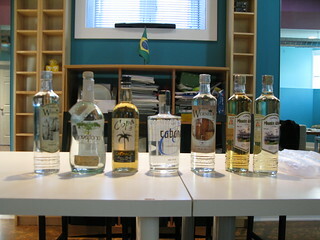 These are typically made using industrial processes and, in some cases, severely test the Brazilian government's definition of "cachaça", such as the maximum allowable amount of additional sugar added to the distillate. Think for a second about what you would be drinking if your booze budget was $0.99 a week. If our tastemakers want to avoid smothering nascent stateside cachaça interest in the crib, they'd do well to spend some time exploring it.